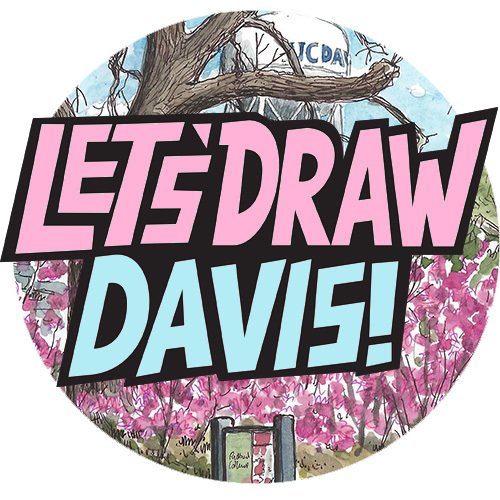 Join us for another sketchcrawl in downtown Davis, on Sunday October 16th! We will begin at 10:30am, meeting outside the Amtrak Station (2nd Street), and then sketch individually or in groups (as you prefer), before finishing up at 3:30pm at Mansion Square (corner of 2nd and E Streets), to look at each others sketchbooks. This sketchcrawl will also be a scavenger hunt – I will provide a list of things to look for and sketch, see if you can sketch ’em all! This is FREE and open to everyone who likes sketching, all ages and levels. All you need is something to draw with and something to draw on!